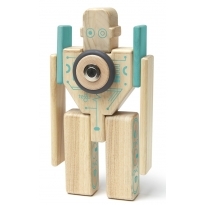 Blast into the future through the eyes of your child with the captivating Tegu future collection. 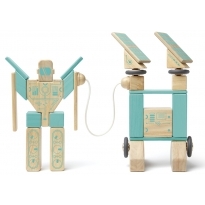 From robots to electric cars, the design of the future set is both nostalgic and reflective of current achievements in robotics, engineering and electronic. 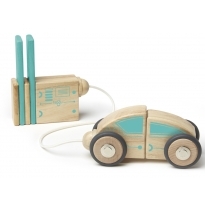 Use the magnetic 'charging plugs' to charge your creations with renewable power (the best kind - imagination!). 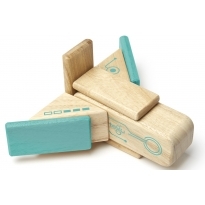 The electric aqua graphics are the perfect contrast against the natural wood grain to reflect the essence of the Tegu magnetic blocks: a new twist on the classic building block.